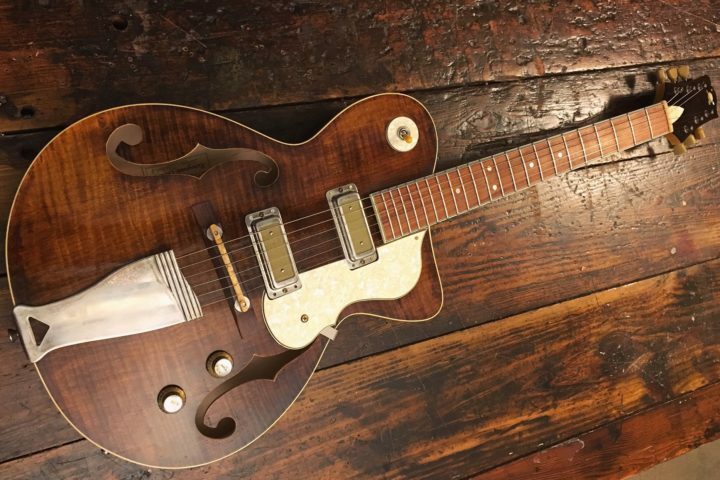 A few months ago, I took the plunge and bought myself a ’59 Magnatone 213 Troubadour that I’d been eyeing on eBay. The seller described it as being in “museum level” both in its aesthetic and electronic integrity, and while I had no cause to doubt either claim, I wanted to take the amp for a check up (potentially its first in over fifty years) just to be sure. I had some dates booked, and what little time I had to certify its stage readiness was quickly running out. The tech I’d been working with was swamped and heading out on tour, so I asked around as to who I could trust to do the work well and quickly. 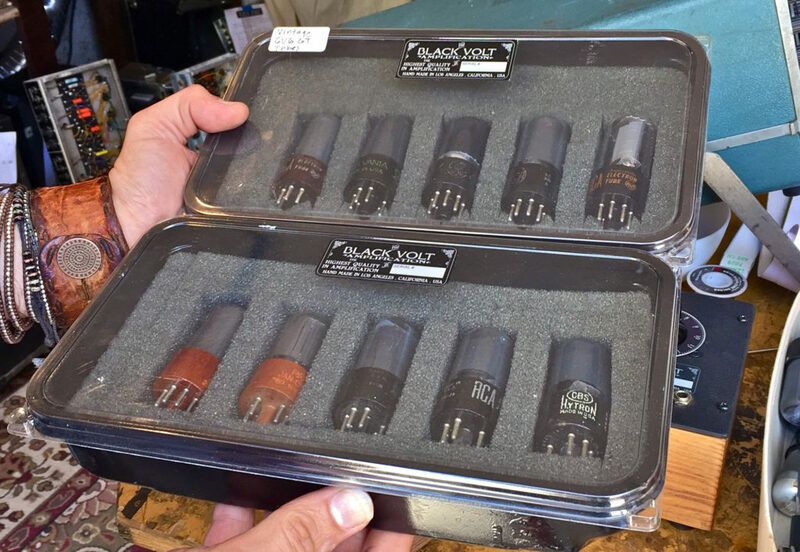 The recommendations were unanimous: I had to go see a guy named Gio who’s shop, Black Volt Amplification, was in Silverlake and apparently very close to my house (roughly 200 yards door to door, as the crow flies). 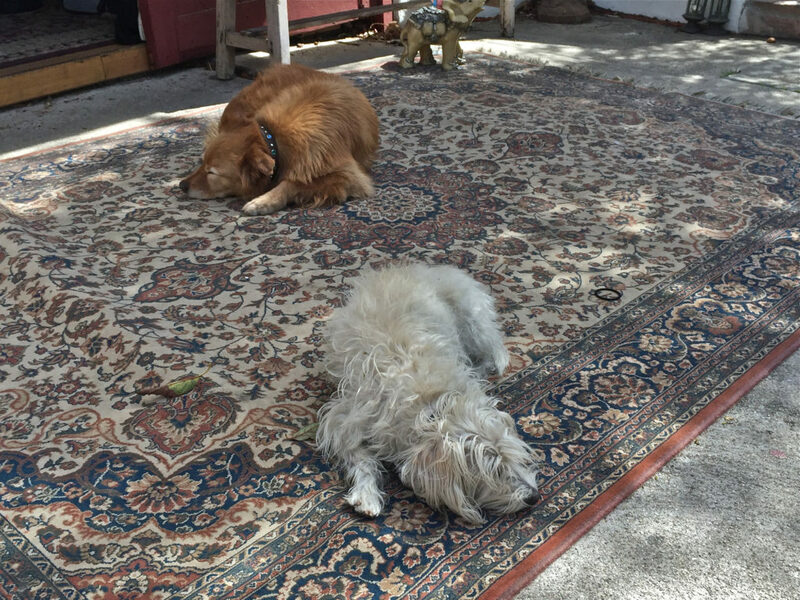 I walked my amp across Marathon St. and down the driveway to the workshop, where I was greeted not only by Black Volt’s security detail, (dogs Buzz and Gracie Bones) but also by a torrent of tone soaring out of a giant old semi trailer that could easily be mistaken for the fuselage of an Avro Lancaster. 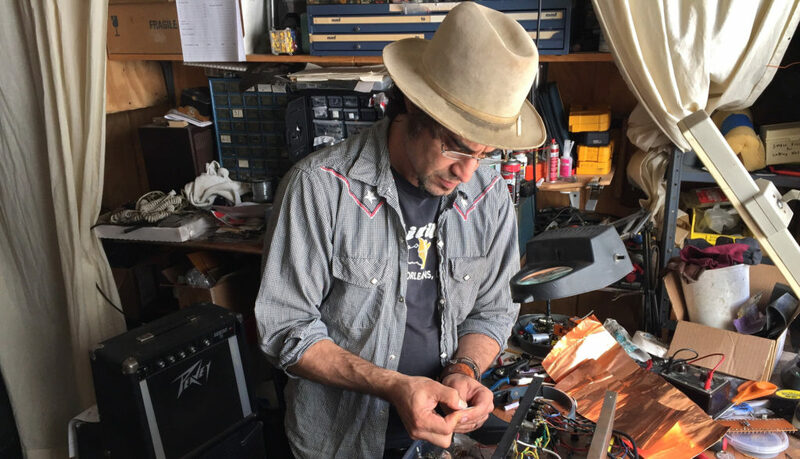 I walked toward the trailer, and after attempting to announce myself, I peaked inside to see a scenario that’s become emblematic of my time spent on the Black Volt campus; Gio on his hands and knees, tweaking knobs, swapping tubes, explaining speaker nuance and capacitor values to a client, all the while listening to every aspect of their playing and touch. He was focused, enthusiastic and clearly dedicated. This must be the place. As the afternoon progressed, Gio and I talked about guitar, music, the history of the neighborhood, and everything he and his small team has going on under the Black Volt banner. 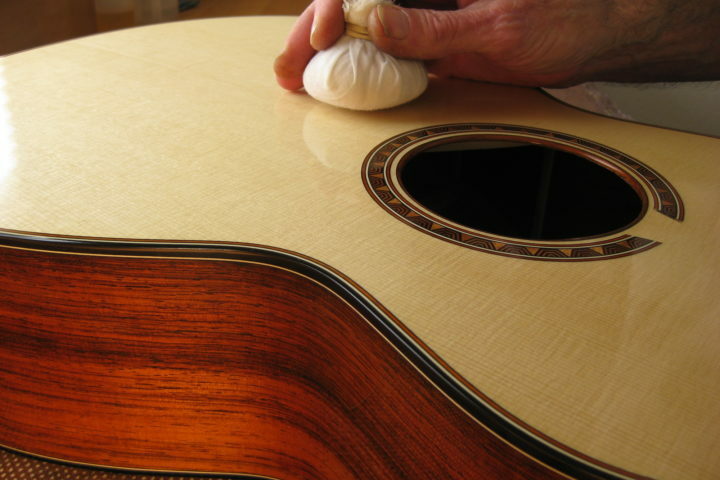 Fretboard Journal: So, what came first for you, a fascination with music or electronics? Gio Loria: Looking back, music definitely came first. I come from a big Italian family, both sides coming from Calabria in Southern Italy, and there was always music playing in the house. My relatives played traditional songs on mandolin, and my first instrument was the clarinet. There were also furniture makers in my family, so an appreciation for craftsmanship and physical objects is something I’ve always had. Before the electronics bug got me, I was on a path towards a career in medicine. I was a biology major, and had my eyes set on being a brain or heart surgeon. But at that time [I] was also being pulled strongly towards being active in music. The more time passed, the harder it became for me to turn my back on it, so I decided to go with the flow and see where it could took me. FJ: What were some of the places it took you? GL: Well, it was L.A. in the early ’90s and there was no shortage of opportunities. I was playing primarily upright bass at that time, and I was working a ton. I played with the Atban Klann, which was the first iteration of The Black Eyed Peas, and we played like crazy. The band got Eazy-E’s attention, and then we got signed to his label, Ruthless Records. Can’t get much more L.A. than that! I worked a lot with Jack Johnson in his early days, too. He and I built a studio in a house in Echo Park that honestly looked scarier than any location in Fight Club, but we managed to put a working studio together in there. We worked on music for surf films and tunes that ended up being some of Jack’s early material. I also worked on Everlast’s record, Whitey Ford Sings The Blues, and wrote the string arrangement for the song, “What It’s Like”, which was wild because that song was absolutely everywhere for a while. I’m still active in playing music these days in a variety of projects, including playing with my wife, Tawny Ellis. FJ: What pushed you into working with amps? GL: I’d always worked on my own gear, and the more I learned, the more comfortable I was in helping out friends and bandmates that asked me for help in diagnosing and fixing issues they were having with their amps, but there were two things that really pushed me to really take things to the next level. One was the passing of my father, the other was my meeting Aspen Pittman and David Riddle. My father, who was an incredibly accomplished engineer, worked in electronics and communications and had an amazing career. When he passed away, it was like a signal for me to take things to the next level, like it was my time to carry the engineering torch. 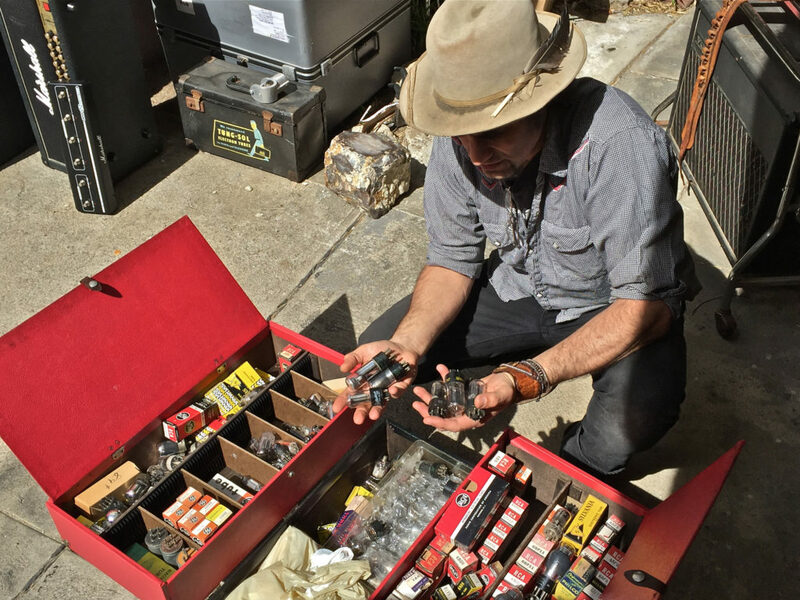 Then my friend Aspen Pitman, who’s the founder of Groove Tubes and author of The Tube Amp Book, introduced me to David Riddle, who’s a total wizard when it comes to all things audio, electronics and restoration. We hit it off right away, I told him about what I was working on, how I was starting to take on more and more repair work, and he essentially took me under his wing. It’s been full speed ahead ever since. FJ: How long has Black Volt been in business, and what are you working on? GL: Black Volt officially became a business in 2014. 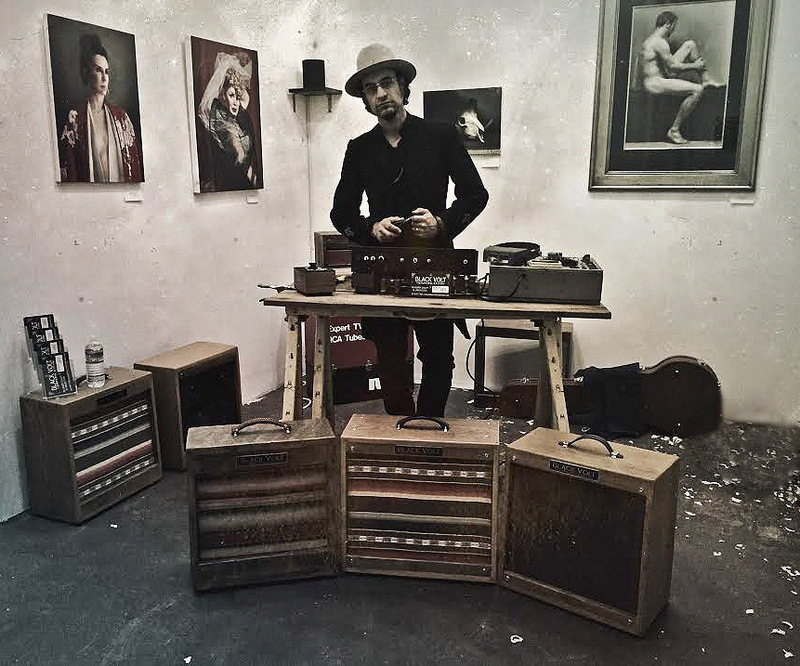 I wanted to put my repair business and my own amp designs under one umbrella, and it was right around then that my Crazy Horse amp became fully realized, so it seemed as good a time as any to hit the launch button. FJ: Can you tell me about the Crazy Horse? Did you have anything in mind when you were designing it? GL: Well, for starters, I think my love for simplicity really shines through with the Crazy Horse. 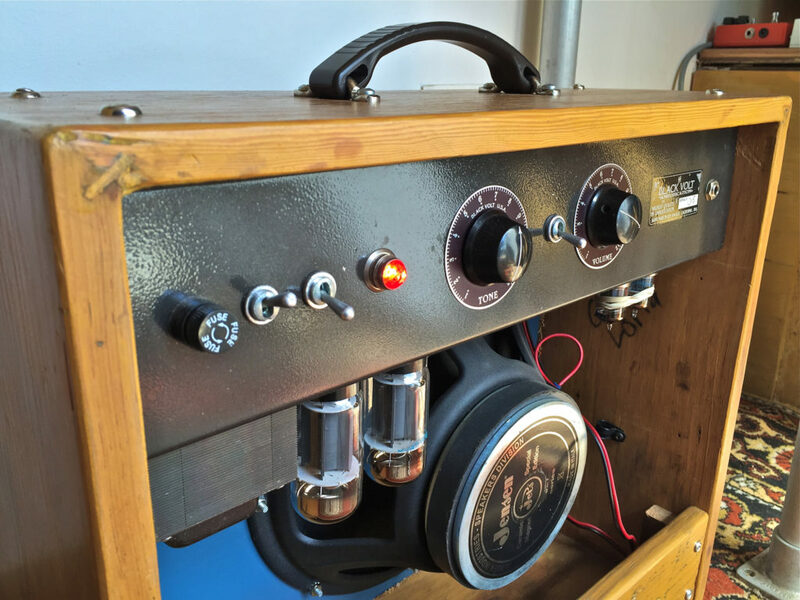 As it exists now, it’s a single input amp with two 6V6s and two preamp tubes, and it’s truly point to point. No master volume, no trem, no circuit boards, no reverb or anything else that would degrade the tone. It’s a raw amp, with tons of touch sensitivity and harmonic content and because of that, it’s extremely versatile. I’ve had players of all backgrounds comment on how they could see using it for any number of gigs, and because it packs an average 35 watts of power, it can hold its own in most situations. If the name didn’t give it away, I got a lot of inspiration from Neil Young’s sound. There’s nothing like the sound of an old tweed amp being pushed to its limits. It sounds like it’s physically breaking apart while maintaining a level of clarity, and I think that the Crazy Horse really delivers on that front. For other players that aren’t focused on being so stratospheric, it’s also a great fit. I’ve seen it used in a variety of situations ranging from all out rock, to jazz, country, and even classical, and I think it’s a great platform for all of those styles. The less clutter there is in an amp, the broader the spectrum for someone’s approach to the instrument to be what really shines through. Philosophically, the Crazy Horse is representative of our commitment to use as many vintage components in each amp as possible. 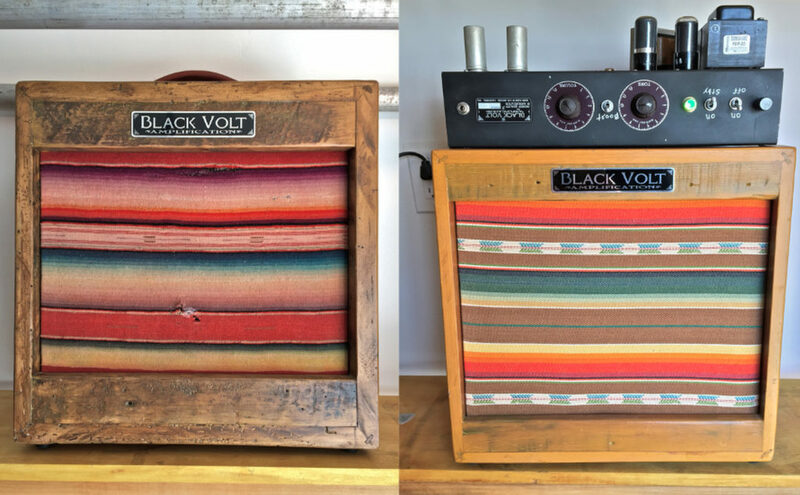 We’re now to at the point where we’re starting to have transformers made to our specs, but aside from that, each Crazy Horse is made up of a diverse batch of new and vintage components that we’ve salvaged. The cabinets are all built with raw wood, ranging in age. We just built a few with 100-year old African mahogany that turned out beautifully. 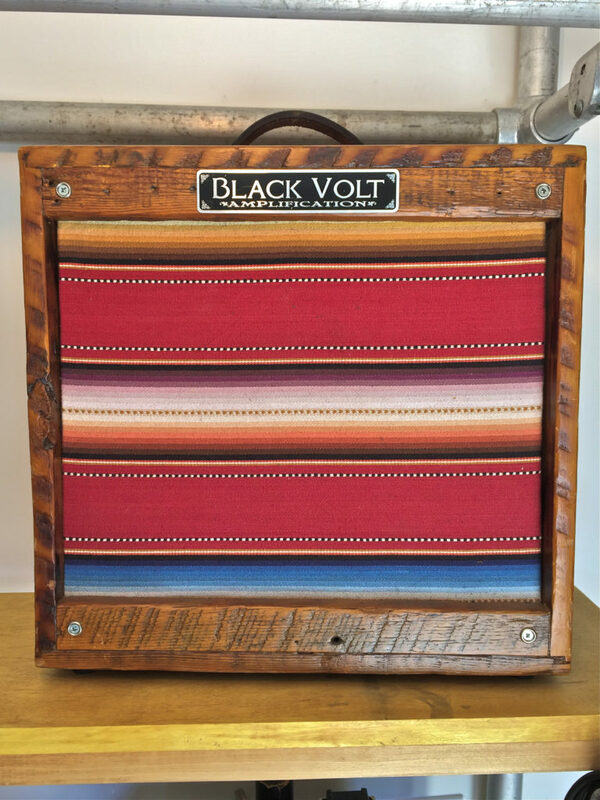 Another part to the Crazy Horse’s aesthetic is that we use Navajo blankets for our grill cloths, and just like the other components, we use vintage whenever possible. With all of the inherent diversity in these components, it allows for each amp to truly be built to a customer’s tastes, and that’s a big part of what makes this all so fun. FJ: Do you guys have anything else in the pipeline? 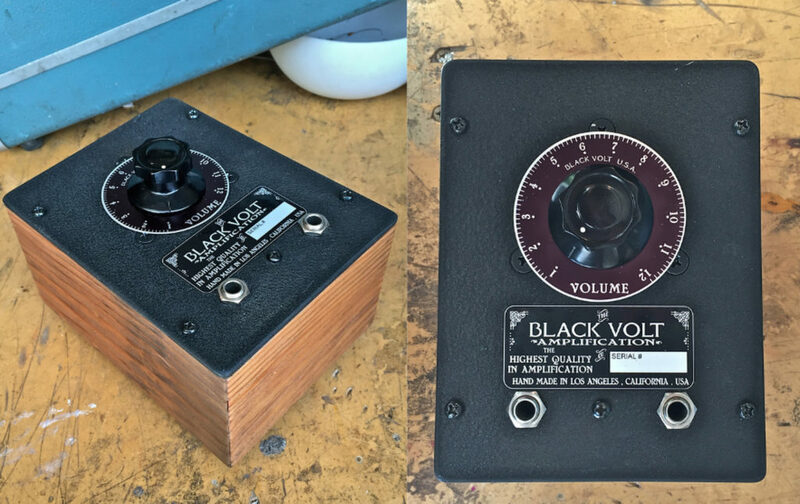 GL: In addition to the Crazy Horse, we have a few other amp models that are in development, but right now what’s most exciting is our Variable AC Transformer Attenuator. Attenuators have been made to varying degrees of success over the years, but in my opinion, no one builder ever really nailed it, which made me want to have a go at it. After tons of testing and being very happy with its performance, we’re finally at the point where we’re starting to take orders and produce them. They’re capable of handling almost any amount of power you can throw at it. Other attenuators tend to push excess heat back in to the amp, and that can blow things like an amp’s output and power transformers, but ours totally is without those issues. It keeps the tone totally the same at any volume, without click stops in the dial, just free and easy attenuation. 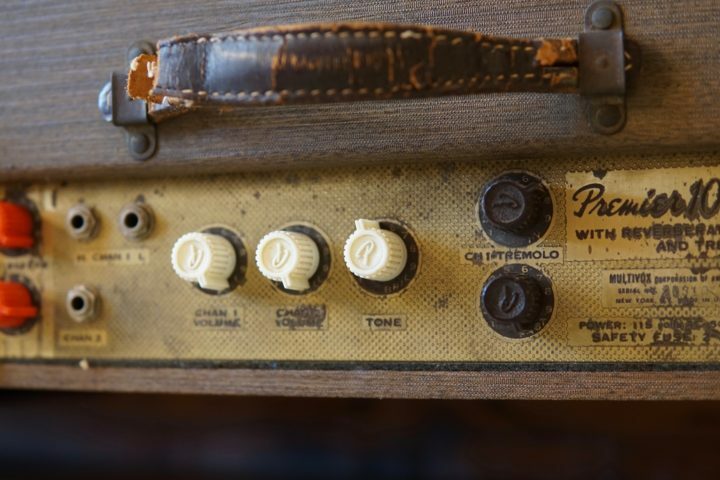 Just like our amps, each one is made right here in the shop, in a rugged cabinet, and is built to last for a very (very) long time. We’re really proud of them and excited to get them in more players’ hands. Top photo courtesy Danielle Hardy Photography.